MSI, the No.1 Gaming Brand Goes Above and Beyond, Bringing you 7th Generation Intel Core i7 Platform to Reach the New Heights for 4K Gaming and VR Experience! How fast is too fast? For MSI, it’s always a second behind; which is why we are always pushing to implement the newest technology into our gaming products for our Dragon Fans. Both Intel 6th Generation Skylake CPU and NVIDIA GeForce® GTX1060 (1070,1080) made remarkable breakthroughs in shortening the gaps between gaming laptops and gaming desktops to essentially none. Now, the gap will be further shortened with the introduction of Intel 7th Generation CPU, KabyLake. Gamers are expected to experience 15% (non-OC) to 25% (OC) in CPU performance boost. Just to give you four ideas of what the newfound power entails; increased processing power for arithmetic, 4K Video, Multimedia, and VR Virtual Reality Performance. 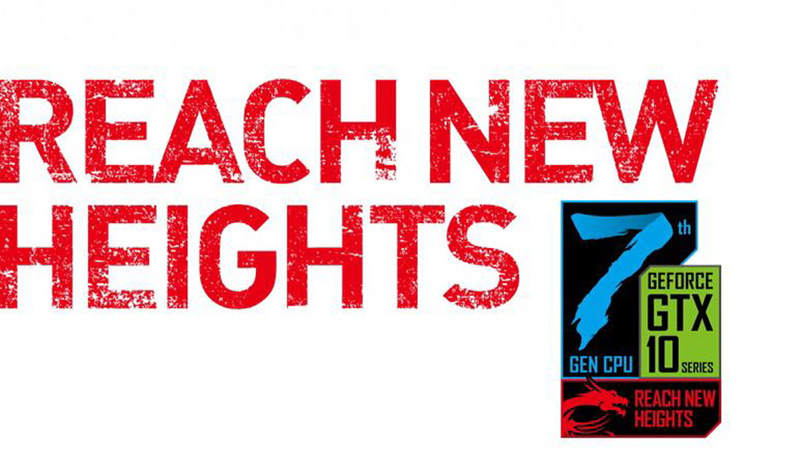 For those individuals lucky enough to own a set of VR such as the HTC VIVE, will have their “VR Experience Enhanced” with the latest 7th Gen Core i7 CPU. Since its debut, VR has been gaining substantial popularity amongst just about everyone in the world; and if you ever had the chance to immerse yourself in one, you’d agree that its boasting popularity and praises aren’t just fictions of a marketing scheme or a generic sales-pitch, but rather by its own merit. 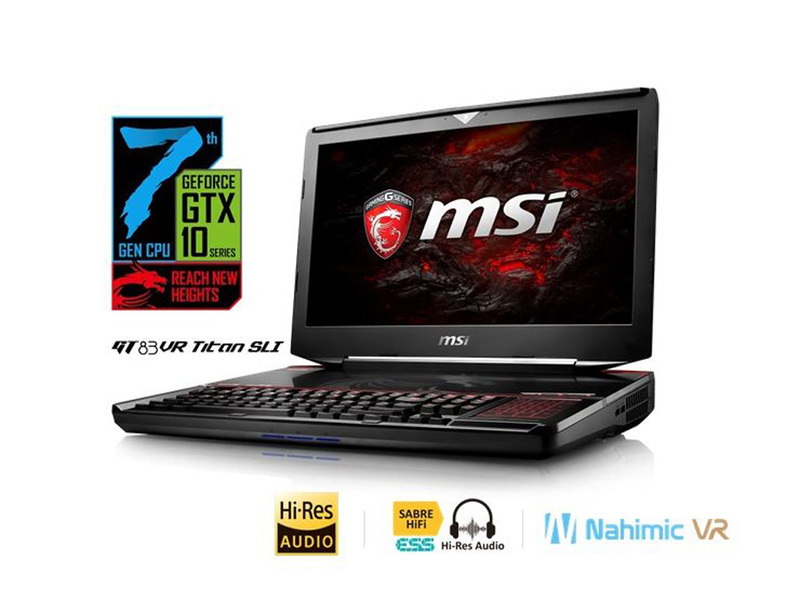 Now how do all this tie to MSI and 7th Gen Core i7 platform? 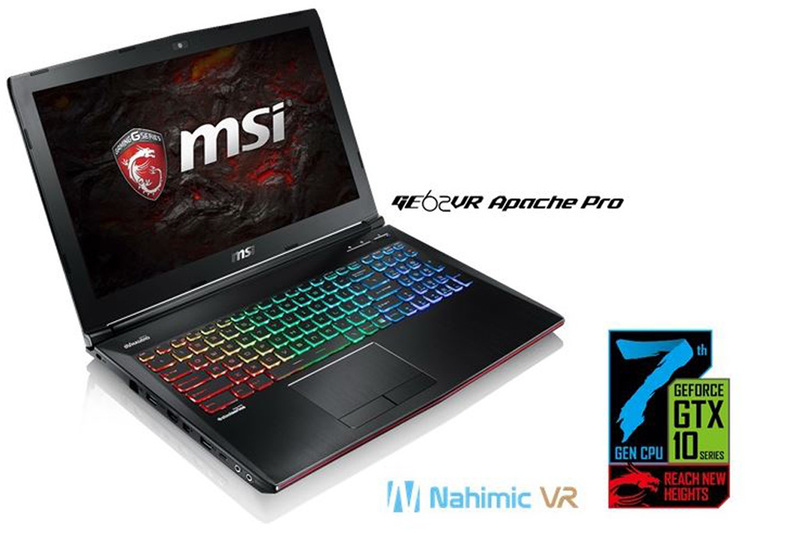 For one, MSI is the only certified manufacturer to work with HTC, and that means all of its gaming notebooks equipped with the latest NVIDIA PASCAL graphics cards are VR Ready. 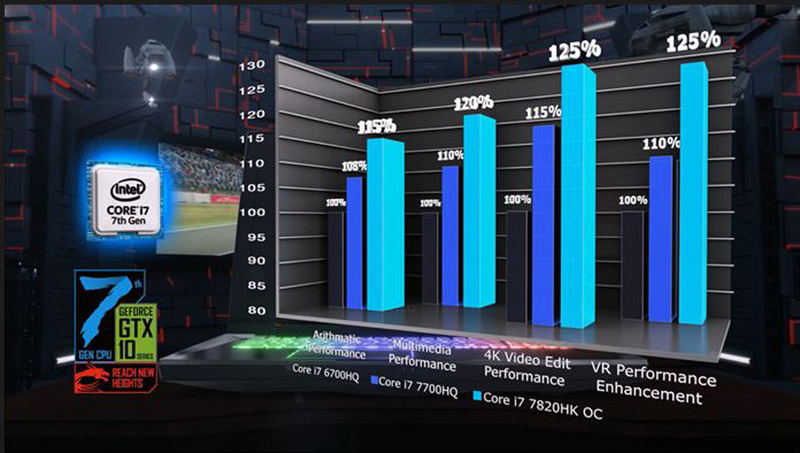 Two, MSI will be implementing 7th Gen Core i7 CPU to all of its gaming product lines, allowing VR users to run their VR applications even faster, smoother. It is no secret that MSI has been focusing on more than just gaming, VR has also been a centerpiece of our focus. 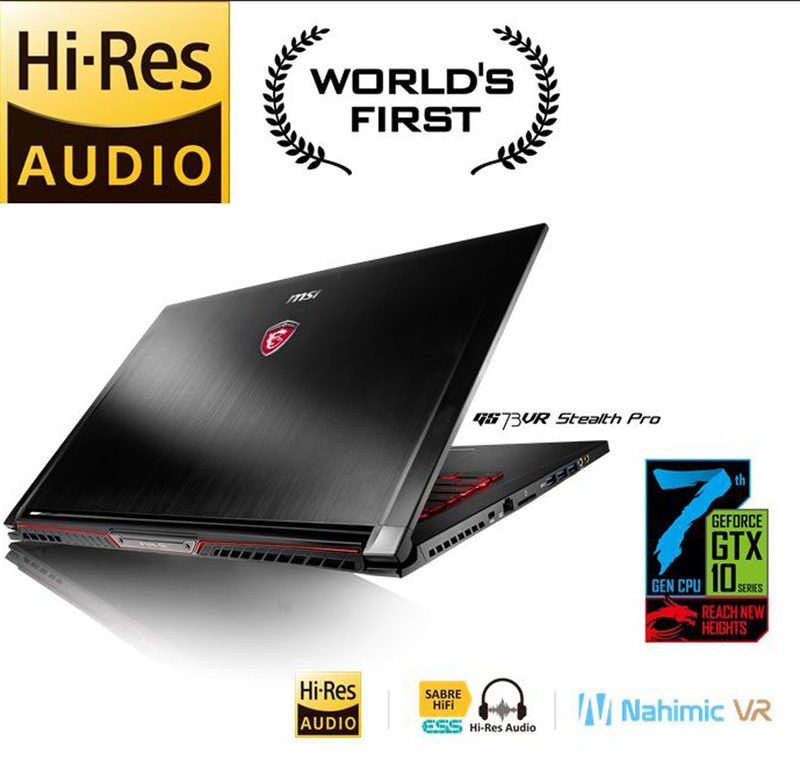 Now, with the world’s first Nahimic VR with 7.1 sound provided exclusively on MSI gaming notebooks (on selected models), VR users can enjoy a new height of VR experience never before. Nahimic 2+ which will be available for all new gaming notebooks we launch in CES, will support more features and higher compatibility for VR games. It has refined profile interface and together with Nahimic VR by Nahimic 2+ technology with be optimized for HTC VIVE kits in early 2017 soon. In addition to the new CPU, MSI will be implementing NVIDIA GeForce GTX1050 Ti & GTX1050 graphics into the arsenal so that gamers of different calibers can enjoy an even more personalized gaming notebook for work, school, or for killing hordes of zombies, ANYWHERE. The GTX 1050 Ti reflects the 15% higher performance compered to GTX965M, The GTX 1050 are going to replace the market position of GTX960M for performance level gamers and power users. MSI also improved Audio Experience with ESS SABRE HiFi audio DAC, which we have just make it with Hi-Res Audio ready; that make sure the MSI GT83VR series with 32bit/384KHz sampling rate, GT73VR series, GS73VR series, GS63VR series and GS43VR series 24bit/192KHz sampling rate, to support the finest audio quality through SABRE HiFi DAC to output to any high-end headsets.